President Obama’s former national security adviser Susan Rice indicated Tuesday that the unmasking of Americans’ identities in certain U.S. intelligence reports was not done for political purposes. In an interview on MSNBC’s “Andrea Mitchell Reports,” Rice was asked to address allegations that she had used U.S. intelligence for political purposes by unmasking certain names of Americans. “The allegation is that somehow Obama administration officials utilized intelligence for political purposes. 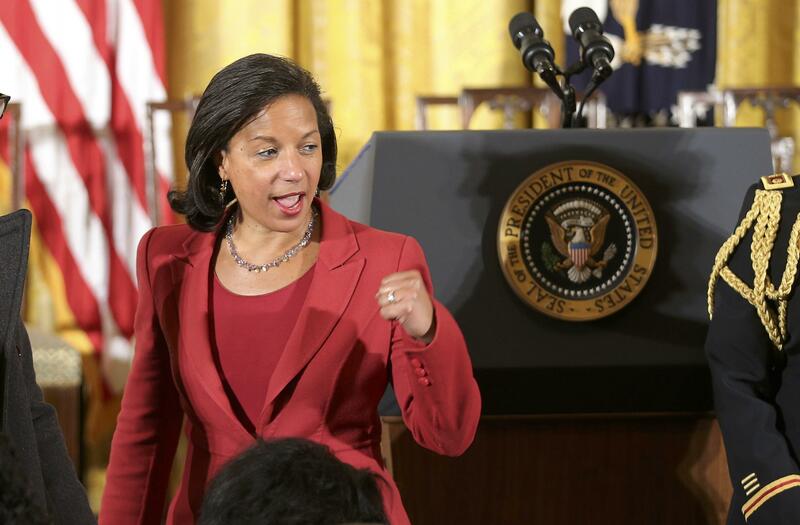 That’s absolutely false,” Rice said. As Obama’s national security adviser, Rice said her job was to protect the American people and in order to do that, she said she received a compilation of intelligence reports every morning from the intelligence community to provide her team with the best information about what was going on around the world. Rice described a hypothetical example of a conversation between two foreigners about a conversation they were having with an American who was proposing to sell them high-tech bomb-making equipment. As national security adviser, she said it would be important to know whether it was a “kook” who doesn’t actually have the equipment versus a serious person or company or entity with the ability to provide that technology. Rice said that when the unmasking of an American was requested by her or a senior national security official, it would only come back to the person who requested the information and was not typically broadly disseminated within the national security community. Rice categorically denied the president’s claim from a month ago that Obama ordered a wiretapping of Trump Tower during the 2016 campaign -- an allegation she said “shocked” her. Senior officials of Flynn’s level are not accorded the presumption of privacy. If Rice was asking for names to be unmasked, those would have been lower level officials or those without specific titles. For example, Jared Kushner would have been masked because he did not have a title during the transition. White House officials empowered to request unmasking are the president, vice president, national security adviser, and deputy national security adviser.